If you notice that the lights in your house are suddenly flickering, it might be quite alarming. Most people, since they do not know much about the electrical wiring in their home, do not know what could be causing the flickering, but before you call in a group of ghost hunters, consider some more rational explanations that have to do with the wiring! One of the common causes of flickering lights in the house is a phenomenon called arcing. This happens when a wire is loose and it doesn’t have full contact with the other wires. The current can arc across the gap, and you will have the flickering effect that you are experiencing. The nature of arcing is very dangerous, and without the proper attention, it can cause a buildup of heat and possibly start an electrical fire. Another possibility is a bad breaker box that could be causing some strange things to happen with your electricity. Sometimes, the problem is a simple fix. 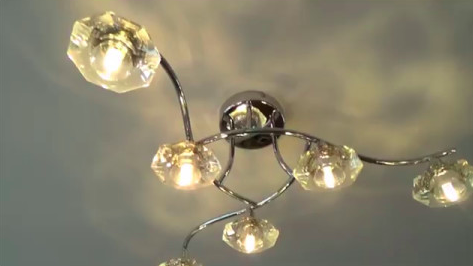 Maybe the light bulb that you have in the lamp or fixture is not connected properly, or it might even need to be changed. If changing the bulb doesn’t change your flickering lights, you are going to have to call in a professional electrician, and you do not want to waste time getting him or her out to your house. The longer you wait the worse and more dangerous the problem can become. Flickering lights, while they seem as if they are nothing more than a mild annoyance, can have far-reaching and dangerous repercussions. You don’t want to take the safety of you and your family for granted. Call highly trained Atlanta electricians out to your home right away so they can find the source of the electrical problem and make the necessary repairs.